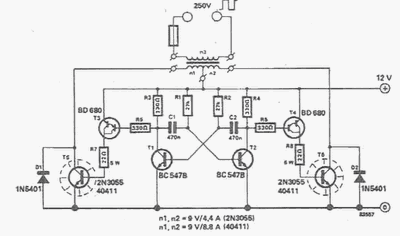 A portable 12V inverter circuit becomes very simple 250V can be designed using the following circuit diagram. 12V inverter circuit into a 250V is designed for portable use with a power supply of 12 V car battery. An astable multivibrator made T1 and T2 produces a square wave at a frequency of 50 Hz. T1 and T2 as well as exit stage propulsion system and also work in "push-pull". 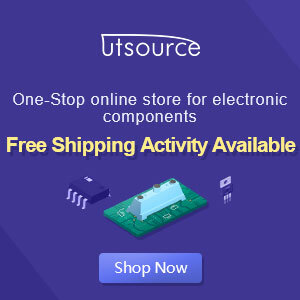 When a current passes T1 T3: T5 and that it involves the second transistor is connected to half a battery of 12 V secondary winding of the transformer Tr. When working T2, T6 transistor coupled with a battery of other parts of the network adapter.